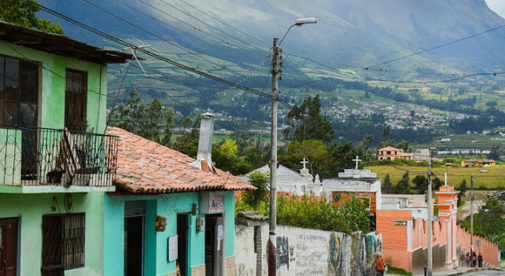 Ecuador has many qualities that appeal to those over age 65, including good healthcare, an affordable cost of living, benefits for those of tercer edad (retirement age), and a steady mild climate. But if you think these expats came to Ecuador simply to escape the snow while twiddling their thumbs through their golden years, you’d be dead wrong. In fact, you’re not going to see porches with rocking chairs in Ecuador. You see, the true appeal of the country doesn’t lie in the practical dollars-and-cents advantages. The real fun comes from the myriad of activities, friends, and new hobbies that we expats all find here. I’ve become an avid hiker since arriving in Ecuador because the Andes are full of great trails for all skill levels. I’m under retirement age, but several of my hiking buddies are not. We all love keeping fit while challenging ourselves and the awe-inspiring trail vistas are a welcome bonus. There are plenty of other non-trekking activities around Cotacachi, where I live, that people take part in. Every Monday, Wednesday, and Friday morning as I walk through town, I see people of all ages enjoying rousing pickleball games. My neighbor takes regular overnight trips with friends to the city of Quito where they shop, eat, and take in some culture. Other times, the group heads to tourist hotspots like Mindo or Baños. The low transportation and lodging costs mean they can afford to go on regular adventures. I’ve found many people come to Cotacachi, or anywhere in the country really, and find a new interest. Birdwatching is a big one as Ecuador is home to over 1,000 bird species, more than 100 of which are hummingbirds. Photography is another favorite, with so many beautiful landscapes, uniquely Andean patterns, and interesting faces to capture. Expats that I know in Cuenca are faced with the difficult decision of which event, tour, or class to attend each day. It makes for tough choices, as Cuenca is loaded with daily activities. The Cuenca symphony frequently performs for free and other concerts and cultural events are usually low-cost. The city holds dozens of museums. And the expat population is so organized that daily emails are sent detailing upcoming events. Even if someone wanted to sit in a rocking chair and while their time away, it would be nearly impossible. There are cooking classes, writing courses, poetry readings, art tours, food tastings, card clubs, and a myriad of other happenings. On the coast, I’ve found expats discovering the joys of parasailing and surfing. For those who like to keep their adrenaline levels low, walking the beaches, shooting the breeze with locals over a cold beer, and allowing waves to wash over sandy toes never gets old. So come on down. Bring your bathing suit, your camera, your tennis racket, and your sense of adventure. But leave the rocking chair at home. I don’t wear a watch. I have one (of course), but I don’t need it. In fact, I haven’t worn a watch in six years because our retirement in the Ecuadorian mountain city of Cuenca has given me back the gift of time. My husband, Mark, and I are so much more laidback; we’ve forgotten what stress feels like. The only time we feel it is when we go back to the States to visit family and friends. Ask anyone in the mountain town of Cotacachi, Ecuador, where to find the best homemade ice cream and they'll direct you straight to Coo Coo's Nest.